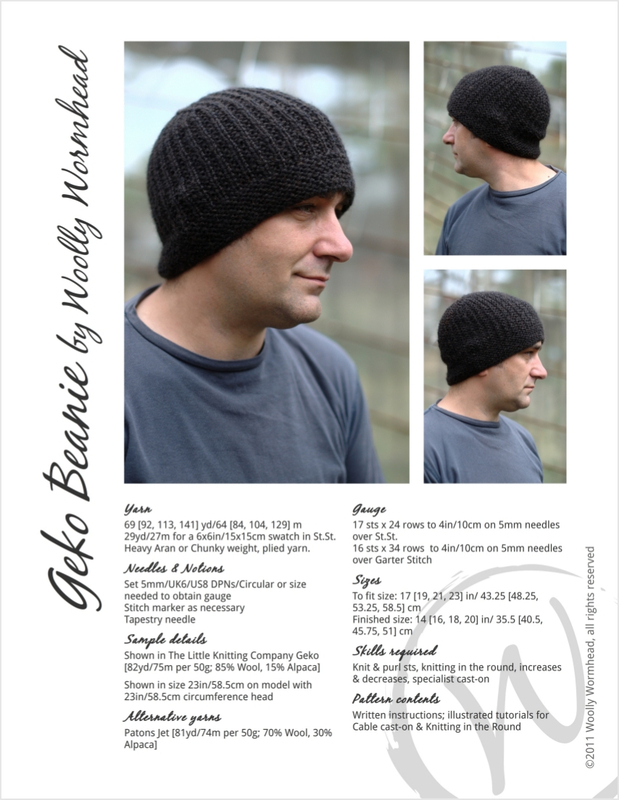 This beanie is truly reversible, making it the ultimate mens Hat. With a range of sizes covering babies from 6mths old through to adults, the pattern will offer plenty of mileage. 29yd/27m for a 6x6in/15x15cm swatch in St.St. Heavy Aran or Chunky weight, plied yarn. 17 sts x 24 rows to 4in/10cm on 5mm needles over St.St.